Essential tips for enjoying the annual Flower Festival! 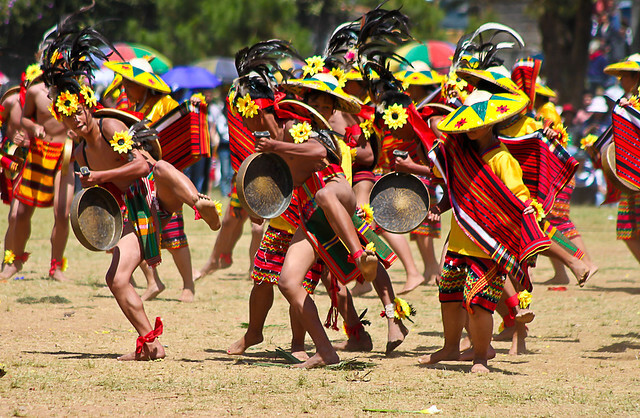 (SPOT.ph) Aside from the many restaurants that dot Session Road and the chilly fog that often shrouds the city, Baguio in Benguet is also known for its Panagbenga Festival held every February. 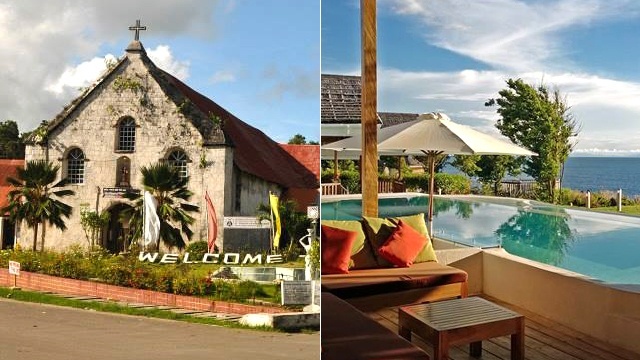 This month-long festival showcases the many types of flowers that grow in the City of Pines and celebrates the culture and the history of the Cordilleras. The main event is on February 25 and 26, 2017. 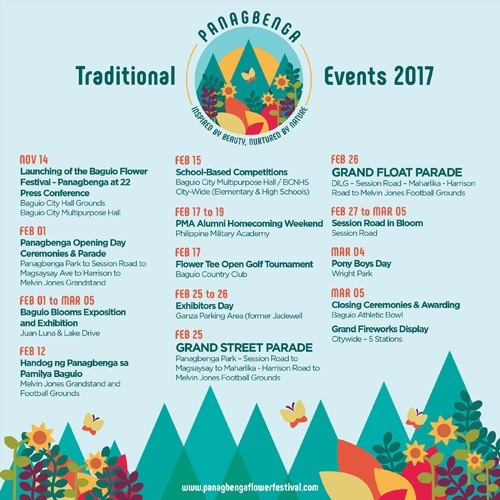 Though the Panagbenga opens on February 1, the Grand Street Parade and Grand Float Parade happens every last weekend of the month. Student groups will dance on the streets of Baguio while donning colorful, flowery costumes on February 25; while floats designed with flowers in full bloom will be on display on February 26. It used to be called Baguio Flower Festival. The Panagbenga tradition started when Atty. 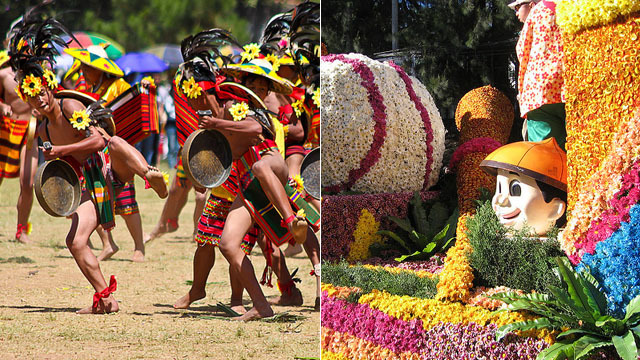 Damaso E. Bangaoet, Jr. of John Hay Poro Point Development Corporation proposed the idea of having a flower festival in Baguio City. First Lady Amelita M. Ramos opened the First Baguio Flower Festival in February 1996. Panagbenga is a Kankana-ey term. It loosely translates to "a season for blossoming, a time for flowering." The festival name was changed in 1997 upon the suggestion of Ike Picpican, curator of the Saint Louis University Museum. 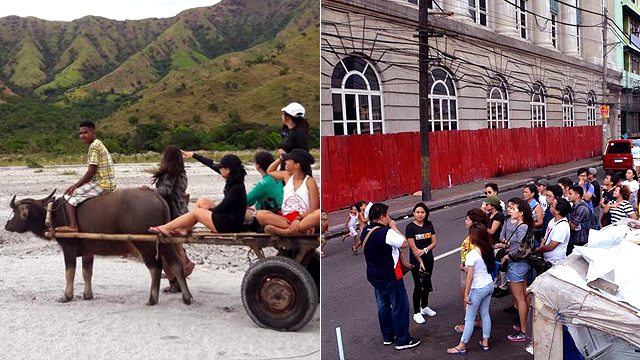 It takes five to seven hours to travel from Manila to Baguio. Victory Liner has a first-class option which has no stops and costs P750, while a regular air-conditioned bus costs P450. You can ride from terminals in Cubao, Quezon City, or Pasay City. It is best to leave around midnight to arrive just in time for the sunrise at Mines View Park. 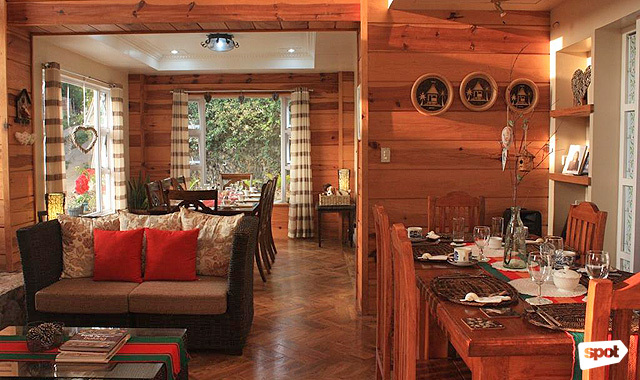 A bed and breakfast is a great accommodation option when in Baguio. Aside from having lower rates, bed and breakfasts also serve freshly cooked meals right from the backyard of the homeowners. You can see more flowers at the local parks. If the decorations on the floats aren't enough, you can take a nice walk in the Botanical Garden along Leonard Wood Road. It also features native huts that are typical of dwellings in the mountains. There's also an amphitheater surrounded with flower gardens behind the well-preserved vacation quarters of General J. Franklin Bell in Camp John Hay (a.k.a. John Hay Air Station). Ube jam is the best pasalubong. Get it only from the Good Shepherd Convent along Gibraltar Road until 5 p.m. Lines are often long so better come early. There are other less tourist-y things to do. In case you get tired of the crowd attending the Panagbenga Festival, you can take a cab to other destinations around the area. 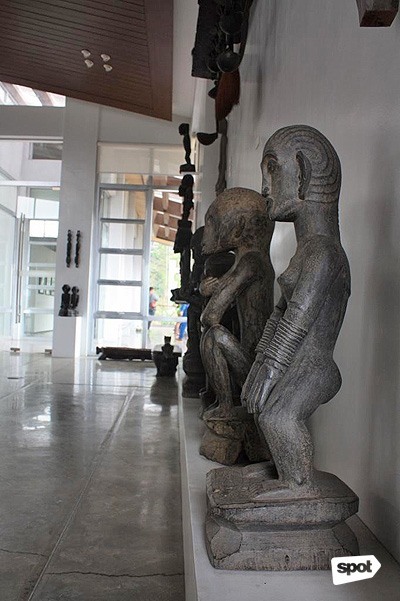 The BenCab Museum in Tuba is seldom full because of its distance from the town proper. Entrance is at P120. The temperature drops to as low as 10 degrees in December. It's a bit warmer by February but it won't hurt to bring a light sweater. 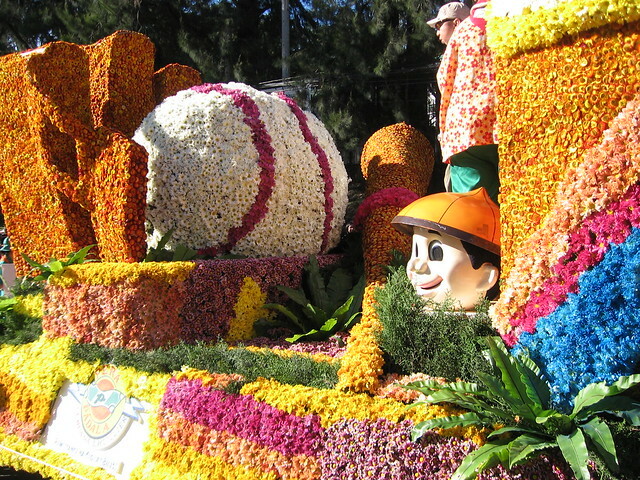 Because the flowers don't really last for a long time, you can expect that the floats' designs are different at every Panagbenga Festival—that means the experience is different each year, too! Photos from Miguel Isidro and lolay are embedded via Flickr.